"A How to Guide to Linkedin Lead Generation"
I went all out in this eBook and did not hold anything back. I give away 100% of our approach, scripts and tactics that we use at Lead Cookie to generate leads on Linkedin. We hope you enjoy and find it useful! Why would I give this away? Simply put, the value in Lead Cookie is in the fact that we are a done-for-you Linkedin outreach service. Test these tactics on your own, and then hire us to help you scale them. Want to work with me for mentoring or coaching? Below you will find a list of all of the software tools that I actively use at Lead Cookie, Content Allies and in my consulting and sales training. Note that I will receive affiliate commissions for some of these signups. But hey, consider that a small compensation for all of the content I share here. Do you need a simple CRM that you will actually use? I recommend Pipedrive. I have used this to track all of my sales activity for years as both a consultant and lead sales person at Lead Cookie. It’s basically a powered up version of Trello with extra sales features. It’s that simple which is why I love it and I recommend as a great place for anyone to start with a CRM. Click here to get a free one month trial of Pipedrive. This website, the Lead Cookie website, the Content Allies website, and basically every website I have ever created are all built on Squarespace. I used to use Wordpress but I got annoyed at how long everything took. In Squarespace, I can build a website in 60 minutes. Squarespace even hired me a couple of years ago to create a course on how to build a website on their platform without writing code. The user interface has changed a bit since recording but the fundamentals are still the same. You can get the course “How to build a website without writing code on Squarespace” at a discount on Udemy here. Technology is that easy and amazing these days that you can literlaly hire someone to build you a website on a live video call in 3-5 hours. UseSixty is a platform to find people who can help you get that website built fast. My businesses live and breathe on Google Docs, Spreadsheets, Drawings and Google Apps email accounts. I own at least 100+ email accounts for various cold emails or operational purposes across my various businesses. Google freaking rocks. Enough said. People often ask if I use a premium version of Linkedin for the outreach campaigns we run at Lead Cookie. The answer is yes, we use Linkedin Sales Navigator for all of our accounts. This gives you advanced search criteria and the ability to do a much higher volume of outreach. To see it’s power in action check out this article I wrote on How to get more out of Linkedin Sales Navigator. This is my go to tool to scrape and build email lists off of Linkedin for cold emailing. It’s low cost, easy to use, and super powerful. This tool is central to all of my cold emailing processes and I use it any time I need to find someones email. I don’t know how I ever functioned before having a text expander. aText is the tool that I use on Mac, but if you Google “text expanders” you will find tons of options. Basically I can type a string of letters like “lc30” and it will automatically expand to give me my calendar link. You know those cool quote blocks and animations that you will see on my social feeds? Well those come from RepurposeHouse. They take my blog posts and podcasts and turn them into awesome repurposed content that enables me to get more reach with my content. Airtable is basically Google Spreadsheets on crack. It’s absolutely amazing. We use it to keep a database of all of our customers. We use it to track leads in outreach campaigns. We use it to organize all of our invoicing and financial forecasting. We use it to do a ton of automation with email scraping. I use it personally to manage projects. Seriously, Airtable is amazing AND IT’S FREE! Eventually we upgraded to paid, but you can do a ton for free so check it out, you will thank me later. Whenever a new customer signs up for Lead Cookie, we send them through a video course on “how to use our service” and “how to convert Linkedin Leads to phone calls”. We host this entire course and experience on a platform called Kajabi. It’s super easy to use, and let’s you create an entire membership site for paid video courses or free ones within a matter of days, without writing any code. Think of it as the Squarespace of Membership sites. While I love Trello, it has it’s limitations. It’s great for storing stuff, but not good for accountability, assigning tasks to others, and tracking to make sure they were done. That is where Asana excels. Seriously, it’s addicting and is way more fun than a boring habit tracking app that you don’t really care about. At the time of this writing, I am a level 18 Warrior, I ride a Tiger alongside my pet wolf, and I just sleighed an evil penguin… Oh and it’s free. If you have a team, you need to be on Slack. It’s basically like one of those old AOL chat rooms, but with different channels for different topics. All of our team lives and communicates on Slack everyday. We discuss things business related, and good around and post lots of Dad jokes… And Slack is free for quite a while until you need premium features. 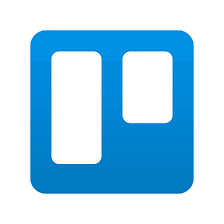 Trello is simple, and awesome. You have columns, you make cards, you put things on cards, and then move them through columns. You can learn Trello in about 2 minutes and use it for anything from personal to do lists, to customer onboarding workflows. We use Trello for a TON of our processes at Lead Cookie and love it. And best of all, we still use the free version of Trello which shows you just how much you can do on it without even upgrading. I’ve prioritized a few of the best resources at the top of this list. But after that the resources are listed in no particular order. WarriorBook - If you are a male entrepreneur, you need to read this book. This book and the Warrior program has changed my life in more ways that I can describe. The Meditations - This is a book you can pick up, read a section from, and then set it back down. There is timeless wisdom in here and it’s a great book to keep on your nightstand and read each night before bed. How to Win Friends and Influence People - A classic book to improve your people skills. Influence - If you have not read this book, get on the bandwagon. It is an absolute essential for anyone in marketing, sales and entrepreneurship. How I raised myself from a failure to success in sales - No matter how good you are at sales, this book will bring you back to the basics and deliver it in a way that will resonate and stick with you. The Ultimate Sales Machine - One of the top sales books I have read. Very practical and great insights. Customer Success - If you run a recurring revenue business, then this book is a must read. Any agency or productized service would gain massive value out of learning the foundational principles of customer success. Resonate - A phenomenal book on how to structure better presentations and communicate a message that resonates. All Marketers are Liars - I can’t say I’ve ever read a bad book by Seth Godin. It’s always worth the read. Expert Secrets - A phenomenal book on becoming an authority, leader, and expert in your space.